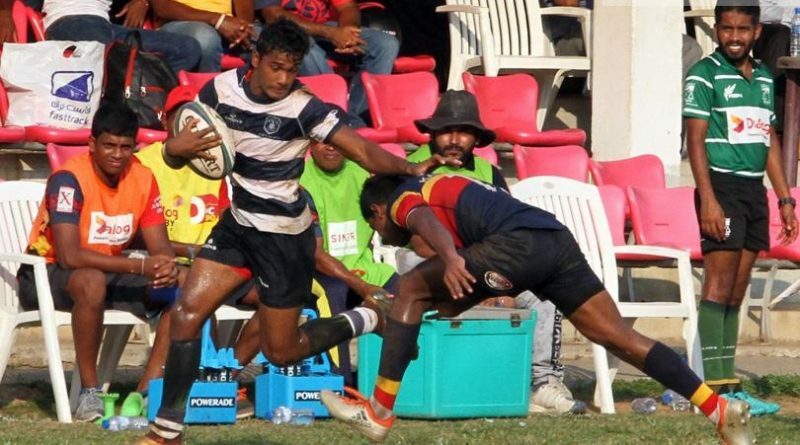 Two unbeaten teams, St. Joseph’s College and Isipathana College will clash in a vital Inter-Schools Under-19 League Rugby Tournament encounter at Havelock Park tomorrow (30). The kick-off is at 4.15 p.m. This game could turn out to be a blockbuster as the Josephians led by number eight Tharindu de Alwis will be hoping for a repeat of last year’s performance. In contrast, Isipathana led by Janith Serasinghe will be seeking to avenge their last year’s defeat. Both teams are in tremendous form after having recorded four victories each. The Josephians of course began the season with a lacklustre win against Science College, Mount Lavinia but they kept on improving and went on to record three convincing victories. Last year St. Joseph’s had to play second fiddle in both the League and Knock-Out Tournaments but this time things have gone smoothly for the Darley Road Team and for sure they know how much this encounter matters to them. On the other hand, Isipathana won their first three games against St. Anthony’s College, Trinity College and Science College with ease but were made to fight hard for their win against the fifth placed Zahira College. The two sides have players in their ranks who could be match winners and the Josephians will be banking on Skipper Tharindu de Alwis, Santhush Algama, Tharindu Maduranga, Rashane Gunawardena, Sudaraka Devapriya and Cheika Jayawardena. Isipathana also have some top players in the calibre of Skipper Janith Serasinghe, last year’s Skipper Manelka Ruberu, Manula Ratnayake, Ramitha de Silva, Raees Akthar and Tharindu Sandaruwan. St. Joseph’s: Tharindu de Alwis (Captain), Theeraka Santhush, Gershon Kandiah, Thevindu Dilshan, Cheika Jayawardena, Shehan Kelaniyagoda, Reshmika Sandun, Nehan Perera, Rashane Gunawardena, Santush Algama, Teran Karunanayake, Imesh Dissanayake, Tharindu Maduranga, Sudaraka Devapriya, Aaron Perera. Isipathana: Janith Serasinghe (Captain), Nipul Atukorala, Chamath Kalhara, Ramitha de Silva, Nadeesha Chaminda, Manelka Ruberu, Ashan Gunasekera, Raees Akthar, Tharindu Sandaruwan, Praveen Stephan, Luqman Riyaz, Ranuja Silva, Manoj Gautham, Suriya Dodangoda, Vimesh Warnapura.